(Tropaeolum minus) Eye-catching orange-yellow flowers with bright red central markings. 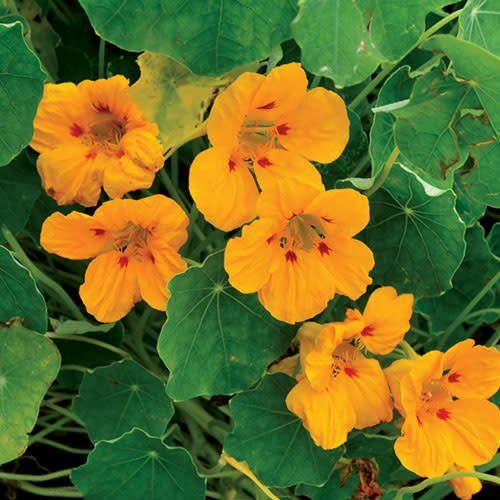 Edible flowers, like all other nasturtiums. Dwarf plants are ideal for container gardening, but will also thrive in normal garden conditions. Hardy annual, 8-10" tall.